Budgeting. We know what the word means. But, are we actually doing it to the best of our abilities? After I graduated college, I was not spending my money in a wise way. Then, I would be baffled when I was too broke to do what I wanted. Now, that I’ve developed some of the tips I’m sharing with you, I have more money because I know how to spend, save, and budget wisely. 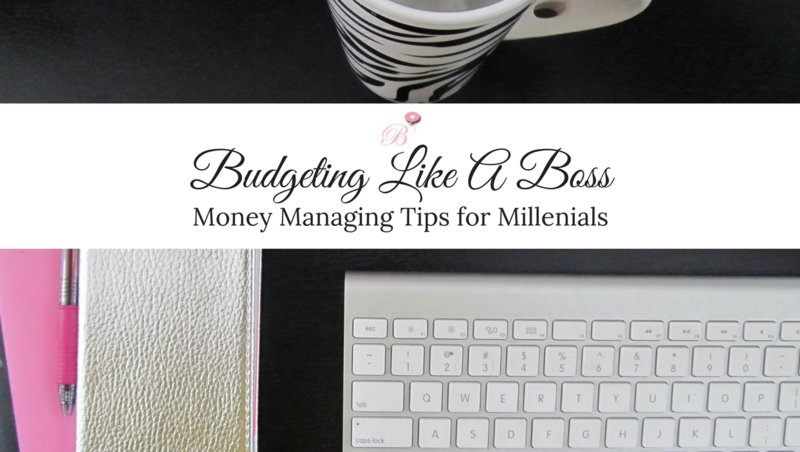 With the help of these tips and a handy FREE tool that you can download, you can start budgeting like a boss, too! It’s that time of the year again! The IRS is patiently waiting to process your taxes. Now, completing your taxes on time is a great idea. You get it out of the way and get your money quicker! However, spending all the money on the first day? Not such a great idea. Don’t get me wrong. I get it. You’ve worked hard all year. Now, you want to treat yourself to that expensive handbag or brand new iPad. I completely agree that you should splurge on some of the things you’ve been eyeing all year. At the same time, you don’t want to waste all your extra money as soon as you get it. When you get your tax return this year, the first thing you should do is put half of it in your savings. I know what you’re thinking. HALF?! Yes, half. It may sound like a lot, but you will thank yourself later this year when you have a nice little emergency fund (and yes, a new iPad can be an emergency). Budgeting your tax refund this way gives you the opportunity to spend guilt-free while also responsibly having a back-up, just in case. Growing up, we’ve all had the pressure to buy the most expensive brands in order to be cool. Middle school, high school, and even as adults we feel like we must have the best things to prove how successful, fun, or cool we are. The truth is that material items do not determine who you are as a person. The car you drive, the clothes you wear, or the fancy electronics you buy without thinking do not make you a better person. Buying within your budget not only makes you a smarter person, but will help you be financially successful in the long run. In my opinion, having the best brand name car may look cool to everyone else. But, not being able to afford the payments or put gas in it, does not look cool at all. For example, I would love to have the best makeup brands money can buy! Right now, my paycheck just isn’t set up that way. Instead of going broke trying to look like an Instagram model, I’ve subscribed to iPsy (a $10 makeup subscription service) and ask for Sephora gift cards for Christmas. It works out pretty well for my make-up obsession and my budget! If you’re looking for similar ways to spend less on the things you want and need, I recommend shopping at Dollar Tree. You can buy many of the household brands you know and love for less. Shopping here will definitely help you spend within your means. Visit their website here or click on the banner to do some shopping! With this affiliate link, you can get FREE shipping to any store of your choice! I’ll never forgot how much I loved working in high school. I could shop whenever I wanted without a worry of how I was spending my money. Fast forward to adulthood. I have too many responsibilities to not carefully analyze what I was spending. Most likely, your bank has a mobile banking app. If you have a mobile phone, you should have that app on your phone! I use PNC Virtual Wallet and check it anytime I’m about to make a purchase. I always want to be sure that I have the funds so I don’t overdraw. Many banks will also send you bank statements. Read them! They provide great information about your expenses. Another tool to keep track of my bills and budget is a simple Excel document. This document calculates all my expenses and helps me figure out how much extra income I have for the things I want. Separating my bills based on my biweekly paychecks helps me remember which bills I owe and if I’ve paid them. Exclusively for According To Brittney readers, the budget document also includes a credit card debt summary to keep track of balances! Download Free Excel Budgeting Template! I hope that these tips will help you get your money in order and be one step closer to financial success!